Hunters & Collectors are an Australian rock music band formed in 1981. They are fronted by founding mainstay, singer-songwriter and guitarist Mark Seymour, they developed a blend of pub rock and art-funk. Other mainstays are John Archer on bass guitar, Doug Falconer on drums and percussion. Soon after forming they were joined by Jack Howard on trumpet and keyboards, Jeremy Smith on French horn, guitars and keyboards, and Michael Waters on trombone and keyboards. Also acknowledged as a founder was engineer and art designer Robert Miles. Joining in 1988, Barry Palmer, on lead guitar, remained until they disbanded in 1998. 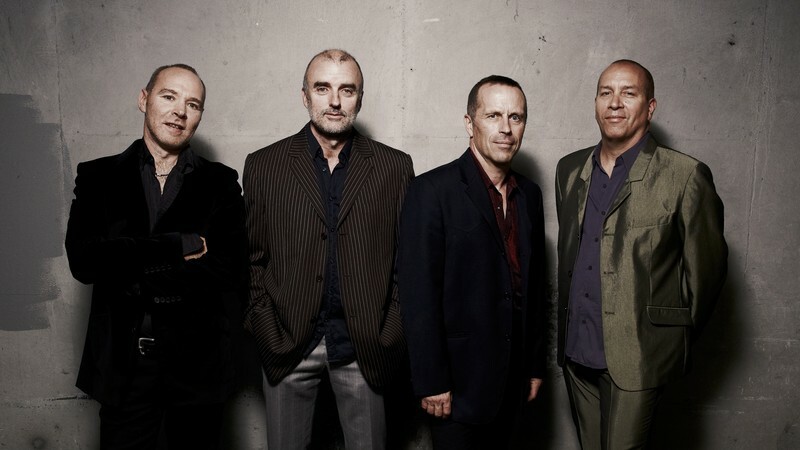 The group reformed in 2013 with the 1998 line-up except Miles. Originally Hunters & Collectors were influenced by Krautrock and productions of Conny Plank, featuring strong percussive influences, noisy guitar, and driving bass lines. Their sound was in the vein of the Talking Heads album, Remain in Light (1980). Hunters & Collectors utilised Plank to produce two of their early albums, The Fireman's Curse (1983) and The Jaws of Life (1984), but neither charted into the Top 50 of the Australian Kent Music Report Albums Chart. Their first Top 10 album, Human Frailty (1986), also featured their logo, a H & C symbol, where the "&" consists of twin snakes entwined around a hunting knife, a variation of a caduceus. Later Top 10 studio albums were Ghost Nation (1989), Cut (1992), and Demon Flower (1994). Their hit singles were "Talking to a Stranger" (1982), "Throw Your Arms Around Me" (1984), "Say Goodbye" (1986), "When the River Runs Dry" (1989), "True Tears of Joy" (1992), and "Holy Grail" (1993). They became one of the best live acts in Australia and according to musicologist, Ian McFarlane, their "great achievement was to lay bare human emotions in the intensely ritualistic milieu of the pub-rock gig". stuff the stones man. i wanna see h&c as the headline. they cant come over here an just play second fiddle to the stones, they way better than that. get em sum gigs, there's loads of their fans here too! cant beat it with a stick, go off like a bomb. h&c for president!